Ok. So I’ve been thinking for a while about joining the hordes of baking and cooking blogs here on the interwebs, and always thought, nah, that’s dumb Marie, who’s even gonna read it. 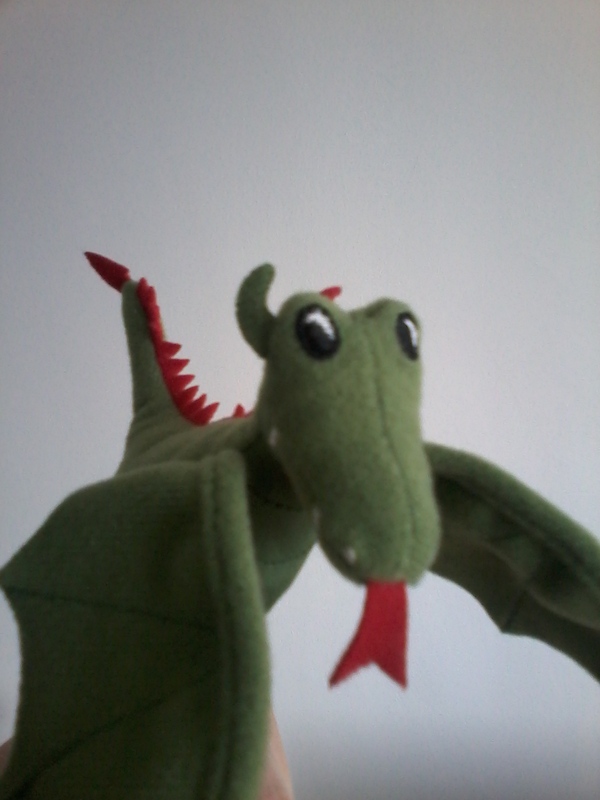 But then I thought, why the heck not – I love reading other people’s recipes online, and I certainly bake often enough. Why not share my exploits too. 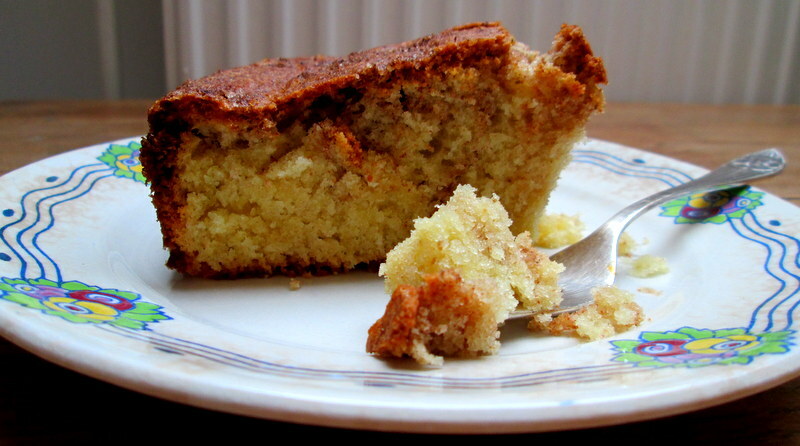 So – here’s my first recipe: a super simple Swedish spiced cake that I am obsessed with, with fragrant cardamom and cinnamon. Cardamom and cinnamon are very popular in Scandinavian baking, both in breads and cakes, whether together or on their own. I was given the recipe over a year ago, by the mum of a girl I was giving French lessons to at the time. 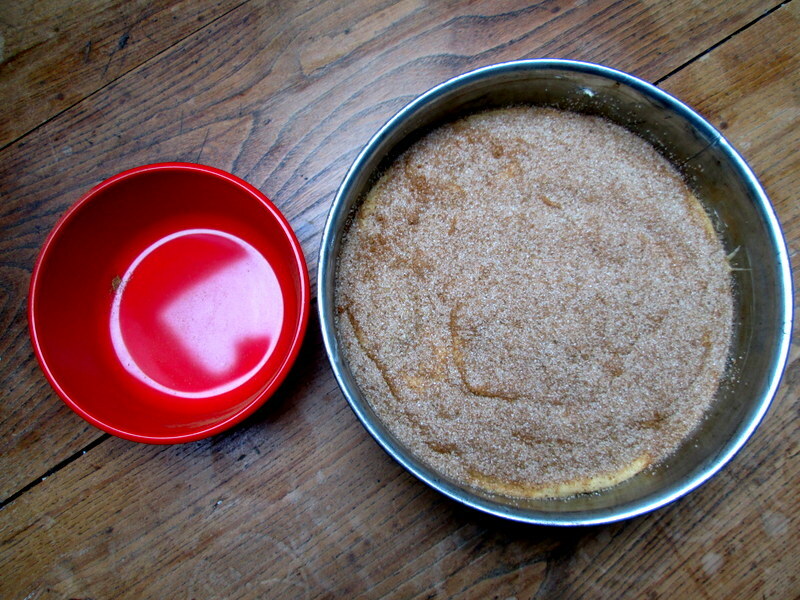 She made the cake while we were studying French verbs (…), and after our lesson I was served a warm slice fresh from the oven, and had a small out of body experience. She’d gotten the recipe from a magazine years before, and made me a photocopy of the magazine cut-out. In a medium bowl, melt the butter slightly in the microwave (or just leave it to soften at room temperature, if you’re more organised than I am). 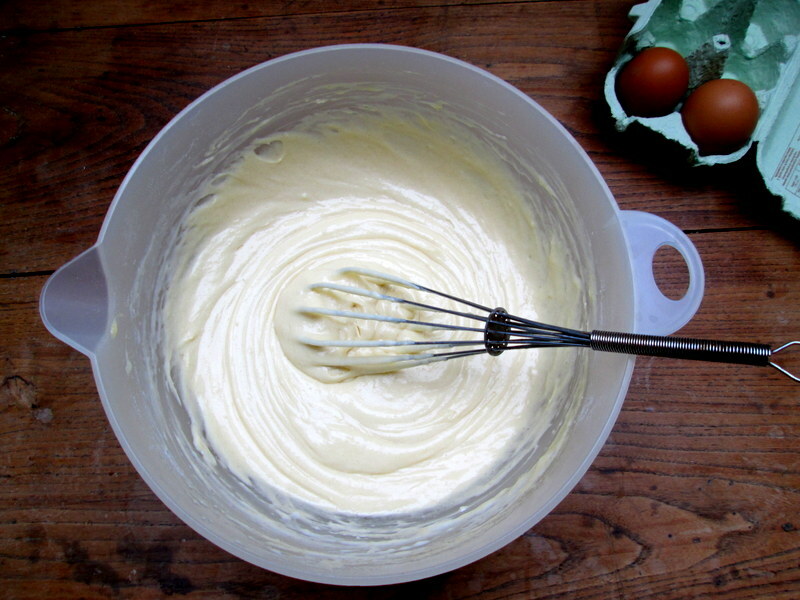 Whisk the sugar into the butter, then add the vanilla extract, as well as the eggs, one at a time, whisking well after each egg (a hand whisk will do just fine). 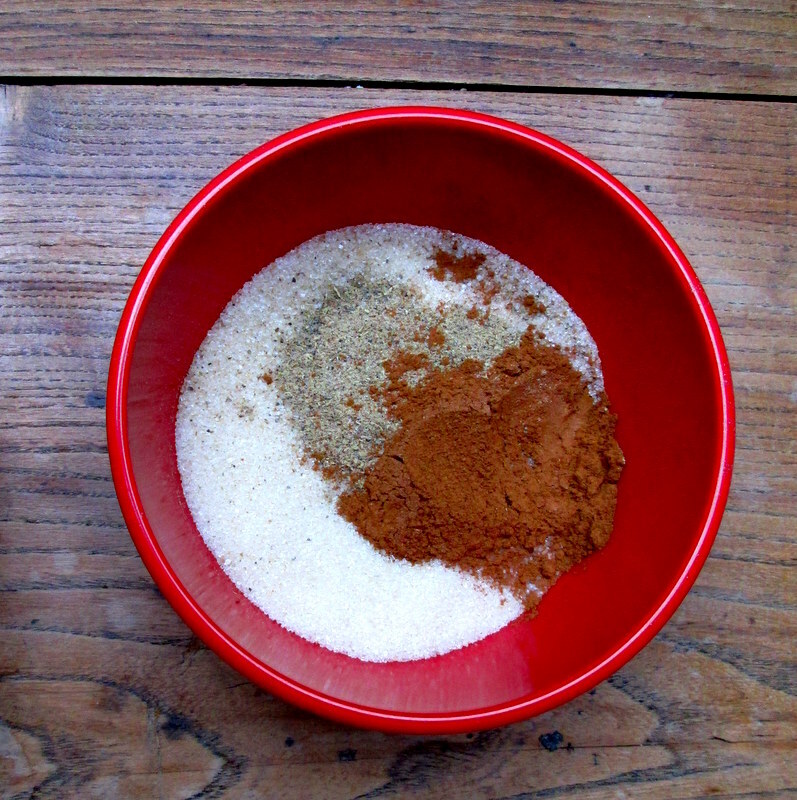 Mix the flour, baking powder and baking soda. Add half of this to the butter and sugar mixture, then half of the butter milk, the rest of the flour mixture, and finally the remaining butter milk. 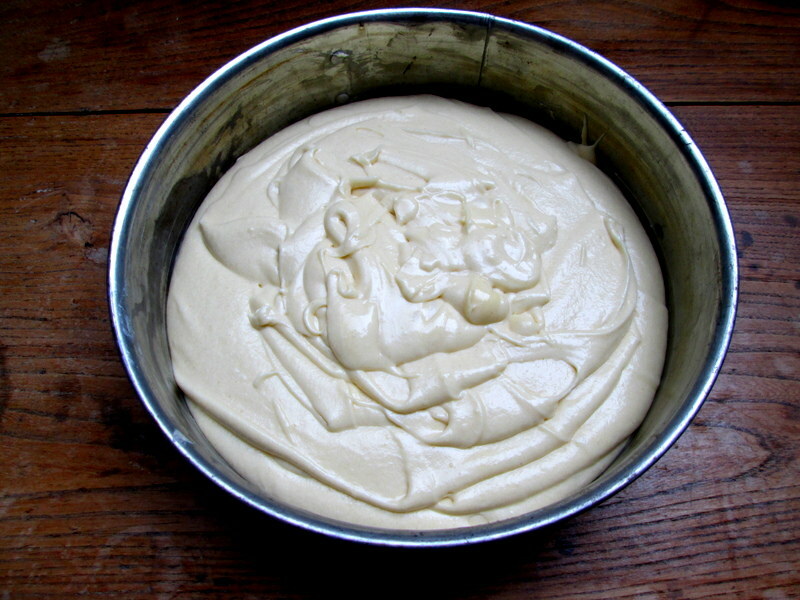 Pour the batter into a buttered springform tin, about 22 cm in diameter. 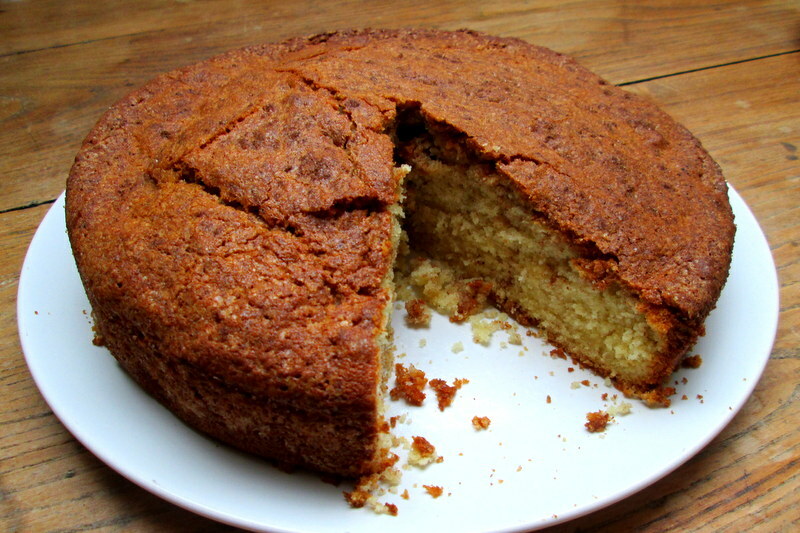 Mix the sugar, cardamom and cinnamon together, and sprinkle the mixture all over the top of the unbaked cake. 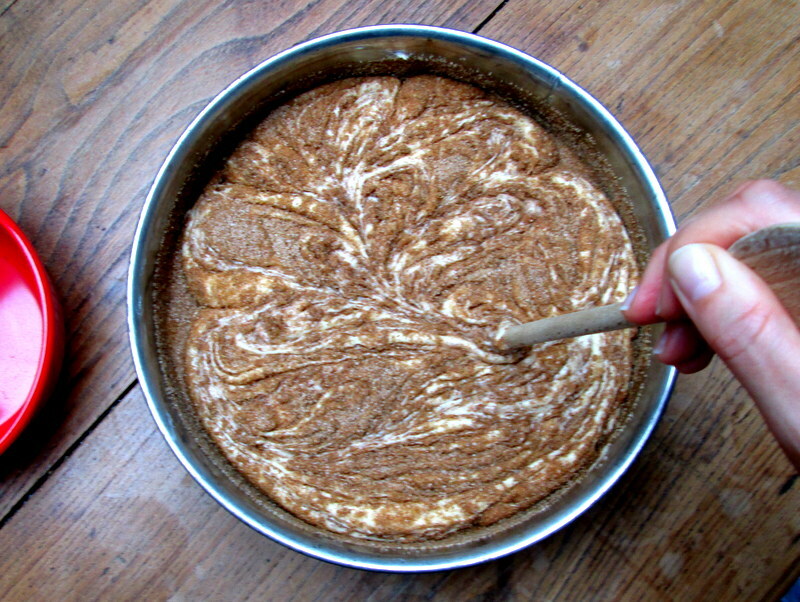 Then, with the handle of a wooden spoon, swirl the sugar-and-spice mixture into the batter, sort of making figure 8’s with the handle of the spoon. You should still be able to see streaks of batter, it shouldn’t be completely mixed together, but don’t ‘under-swirl’, as this leaves a too crunchy, too spicy layer on top of the baked cake (I accidentally under-swirled once, and while still good, the cardamom can be a bit too much this way – much better to have gloops of the sugar-and-spice mixture spread throughout the cake). Bake in the middle of the oven at 175 degrees Celsius/350 degrees Fahrenheit/gas mark 4, for about 50 minutes to an hour, until a tooth pick inserted in the centre comes out clean. Leave to cool in the tin for about 15 minutes, if you can, while you revel in the smell that has filled your kitchen, as well as the rest of your apartment. Maybe brew some fresh coffee. P.s. : Also makes for an excellent breakfast! The cardamom almost adds a savoury touch, which in my mind makes it a perfectly legitimate breakfast food. P.p.s. 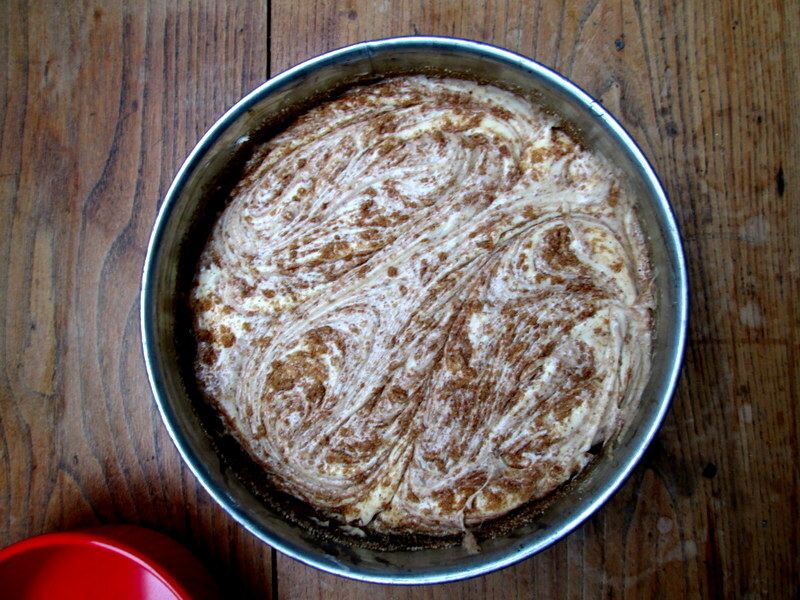 : Opening the oven to check on the cake halfway through baking will make your hair smell AWESOME. I’m not much of a baker though; I write fiction!